Dealing with unpaid receivables is frustrating, it’s stressful, and it distracts you from your business of making money. Our goal is to help you collect the delinquent receivables currently owed to you and to help you implement procedures to minimize them in the future. We offer an array of business collection services ranging from Accounts Receivable Collection Litigation to helping you develop internal credit and collection policies. 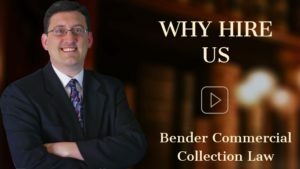 We also offer low-cost demand letter services designed to avoid unnecessary litigation, and assist creditors and other attorneys with post-judgment collections. Our demand letter service is designed to save you legal fees. In many cases, you need a lawsuit in order to collect. Sometimes, however, the threat of suit can motivate your debtor to pay. For a minimal flat fee, we can review your past due invoices and send the debtor an attorney demand letter. If the debtor pays after receiving our letter, this avoids the higher fees associated with litigation. If the debtor ignores your demands for payment, you probably need to sue if you want to get paid. We specialize in Accounts Receivable (business-to-business) collection litigation. Using a specialist can make the difference between winning and losing. 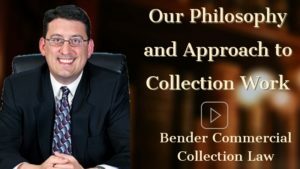 Whether your case settles or we pursue it to judgment, you know that a skilled, experienced collection lawyer is working to recover your money. If we know where the debtor has assets, we can seize them. If we don’t know where the debtor has assets, we try to find them through investigations and the legal process. We also record your judgment as a lien against the debtor’s property. If you and the debtor are willing to settle, we maximize our leverage so you can negotiate from strength. With proper internal credit and collection policies, you can minimize your need for B2B collections, and maximize your recovery when collections become necessary. For a minimal flat consultation fee, we can review your credit and collection policies. Based on this review, we will issue a report with recommendations. If you’re a New Jersey company with business collection needs, or an out of state company with a New Jersey debtor, please contact us to discuss your collection concerns.